Every Secret Thing is a rough, tough, hilarious portrayal of the Bush Mob and the Mission Mob, and the hapless clergy trying to convert them. In these tales, everyone is fair game. At once playful and sharp, Marie Munkara’s wonderfully original stories cast a taunting new light on the mission era in Australia. I intended to read this book for the 2015 Australian Women Writers challenge, but as I realised I had read it before, that was not to be. However, in the spirit of the challenge – and because it is a must-read, and excellent with it – I am including this as an extra review. Every Secret Thing is written as an account, told by anecdote, of the development of the relationship between the bush mob and the mission mob – the latter have set up the mission somewhere in northern Australia, not too far from a town referred to as Big Joint, with the purpose of Christianising and “civilising” the bush mob. The various anecdotes tell, humorously, disputes and misunderstandings between the bush mob and the mission mob, and within each, with everyone’s flaws exposed and with the joke generally being on the mission mob – at least at first. The kids confound the visiting Bishop with their logic (why would Adam and Eve eat the apple instead of the snake when the snake would taste better? ); Augustine and Methuselah outsmart Brother Michael and make off with various livestock in The Brotherhood; Pwomiga gives deliberate, and hilarious, mistranslations in Wurruwataka. But as the book goes on, the stories become more and more bittersweet. The dark undercurrent which is evident from the beginning, such as oblique references to child sexual abuse, become stronger and more explicit, such as the story of Tapalinga and Perpetua, two members of the Stolen Generations, in The Garden of Eden. And the ending, which I won’t spoil, is very black indeed. We have far too few stories about the mission mob/bush mob interaction from the perspective of the bush mob. What I think is particularly valuable about a book like this is that it treats the bush mob’s life pre-mission-mob as the baseline, and the interactions with the intruders, the parts of European culture/industralisation the bush mob accept or reject are explained, and make sense, in that context. For example, if you have always cooked over an open fire, why would you automatically recognise an oven as a device for cooking as opposed to a convenient storage space – or den for newborn puppies? To my mind, this is an effective method of refuting the proposition that Aboriginal Australians and Torres Strait Islanders are (or were before the coming of the white man) backwards, uncivilised, stupid and lawless. And whatever else, it is refreshing to start from this perspective instead of the perspective which uses the European Australian attitude as the default position. This was a book I was very pleased to read again, and it is a book I think is a must-read for all Australians. 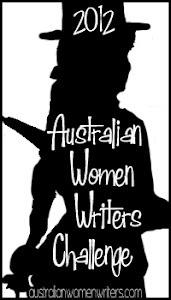 This is an extra review for the 2015 Australian Women Writers Challenge. You can see my full list of books here. 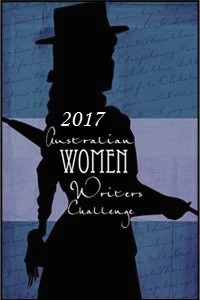 You can find a full list of my reviews, and other posts relevant to the challenge, here. 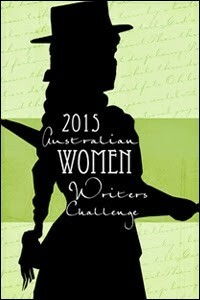 I have completed the 2015 Australian Women Writers Challenge! This post is to record how I went compared to my challenge criteria, and to give a very short overview of each book. An engaging new collection from the author of Burning Rice. In Peony, Eileen Chong deals with a range of themes, from the nature of family and ancestral roots and traditions, to death, friendship, travel, fear and, of course, love. Colleen Shirly Perry, better known as ‘Mumshirl’ worked for the Aboriginal Medical Service, recieved an MBE and generally did everything she could for aboriginal people. It feels quite appropriate to be writing this review on Australia Day/Invasion Day/Survival Day, particularly one on which the debate is not only about the nomenclature of the day and what (if anything) we should be celebrating or commemorating, but also about whether someone such as the husband of the Queen of England should receive the top Australian honour, in circumstances where that honour is itself controversial and where the man is known for making ignorant and bigoted comments, including to Australias First Nations people. It’s not that easy to kick the money habit. After the world meltdown forces London’s bankers to go cold turkey, people look elsewhere for a quick quid: the old fashioned East End. So when investigator Catherine Berlin gets an anonymous tip-off about a local loan shark, the case seems straightforward – until her informant is found floating in the Limehouse Basin. Now Berlin has seven days to find out who killed her informant, why the police are hounding her and, most urgently of all, where to find a new – and legal – supply of the drug she can’t survive without.